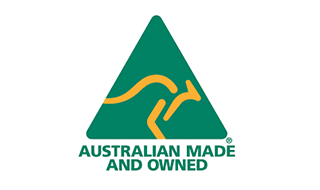 Our Australian designed and locally made Premium SOLAMAXX Series offer pool covers and solar blankets made for Australian harsh conditions..
Our swimming pool covers are made with world leading extrusion technology and are made to last for many years. The selection of high quality raw materials and the design and science of the SmartDome™ bubble are fundamental in terms of the long-term durability, heating and insulation performance. Each Pool Cover uses the unique SmartDome™ bubble technology which delivers the most efficient solar cell performance. The SOLAMAXX Series offer blankets in 300, 400 and 500 micron thickness. The covers are identical in style and science and they differ only in the warmth they can keep your pool, the length of accompanying warranty, durability and price. Our New Suncap® SolaMaxx 550B - Australian made Solar Pool Cover is designed for Extra Performance. 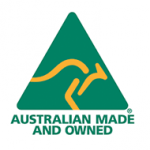 It is one of the best Australian made pool blankets and provides long term durability and strength. In addition it still provides outstanding heating and insulation performance and will reduce Evaporation by 98%.This best selling pool cover offers outstanding performance in all aspects at a great price. Available in 400micorn thickness this quality entry level solar blanket offers all the benefits and savings of a pool cover. It is made with thicker material that can provide many years of satisfaction to pool owners at a fair price. It will heat your pool, reduce Evaporation by 98% and will save you money and on your chemical consumption. All our covers come with a free Hauling Rope system.